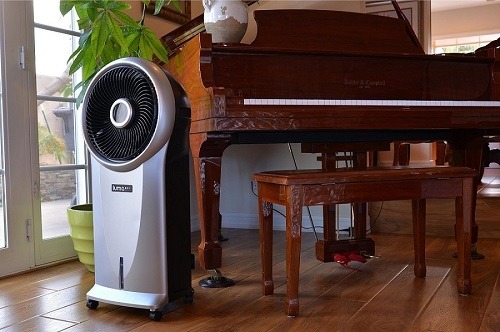 When it comes to using an evaporative cooler in a small space, the Luma Comfort EC110S delivers about as well as one can expect. 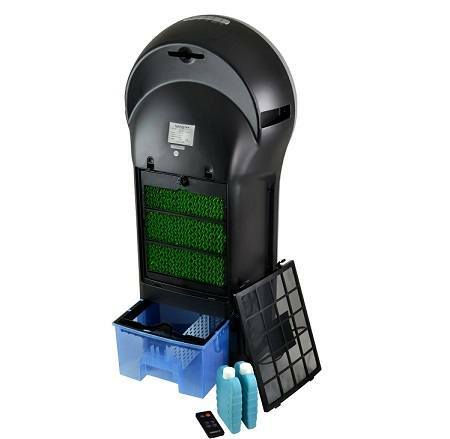 The unit works well, and has some added features that makes it easier to both use and refill. The Luma Comfort EC110S is a very efficient evaporative cooler that can cool down a smaller space under 200 square feet with ease. It may not offer the same cooling that an actual air conditioner does, but it makes the most of what it’s capable of. Some modernized features help to push it up a few levels into a different category of evaporative coolers. 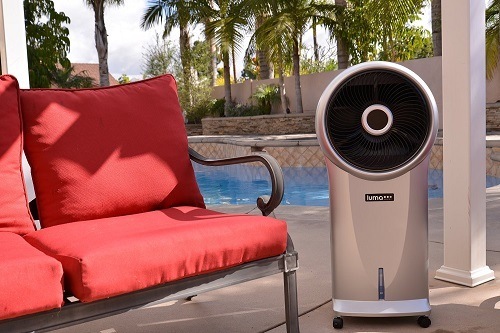 It’s no secret that evaporative coolers use a fraction of the energy that actual air conditioners consumer, and the The Luma Comfort EC110S is no different. The unit draws only 110 watts, yet cools most rooms anywhere from 10-13 degrees Fahrenheit with relative ease. You could continually run the The Luma Comfort EC110S all day anot not equal what a portable air conditioner draws in one hour. Of course, the tradeoff here is limited cooling ability, but if you live in a mild climate, this will work just fine. The The Luma Comfort EC110S weighs only 16lbs, and stands just over 34 inches tall. The unit is easy to move around, and not an obnoxious size that will dominate your room like some other evaporative coolers tend to do. Evaporative coolers need to be refilled rather often, and that’s pretty annoying if you have to roll the unit to a water hose or to the kitchen. Fortunately, Luma Comfort helps you avoid that hassle by utilizing a removable water tank. The The Luma Comfort EC110S gives you a few different ways to control the airflow. You have three speeds to choose from, along with three different wind modes. An 8 hour timer comes in handy for when you want to leave the unit running for a certain amount of time. Oh, and we can’t forget to mention the remote control as well, which lets you control every aspect from across the room. 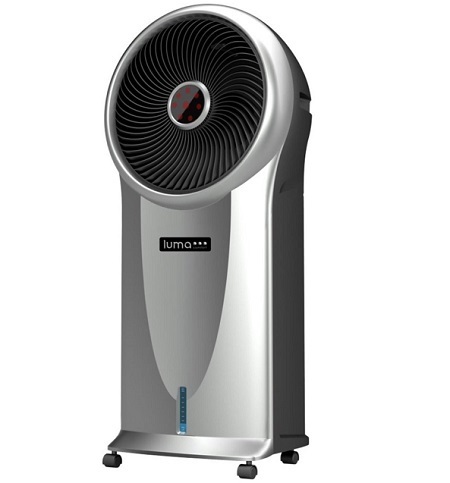 The Luma Comfort EC110S is an evaporative cooler after all, so that means it’s lacking in a few areas. The Luma Comfort EC110S has an average run time of around 5 hours with a full bucket, so if you want to keep it going all day, be prepared to refill the bucket quite a few times. They tried, but the Luma Comfort EC110S isn’t the most attractive appliance in the world. It’s a little awkward looking. 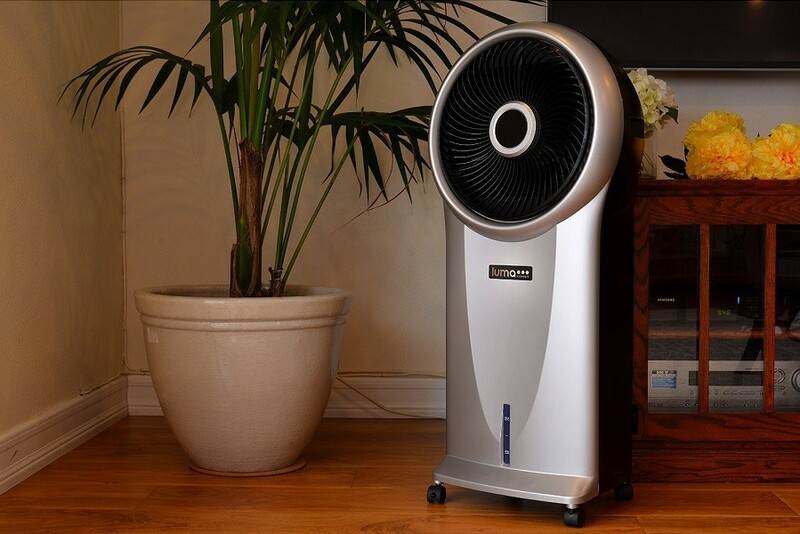 If the humidity in your home or property is conducive to using an evaporative cooler, the Luma Comfort EC110S will serve your needs very well. It’s easy to use, offers convenient features, and has plenty of control options to get the fan working exactly to your desired settings. Buy this unit if you need to cool your dry space down without using a lot of energy. Previous Post Whynter ARC-14SH 14,000 BTU Portable Air Conditioner Next Post Why Buy a Portable Air Conditioner?